Have you ever tried selling anything? Then you know it is a difficult thing to do. The mere thought of convincing another person to buy something from you may seem a bit off especially for non-professionals. The same is true for marketing, which even in its earliest form, has always been a somewhat tedious job. Managing the daily grinds of marketing is but the tip of the iceberg for professionals, dealing with prospects and making sales pitches, not to mention conducting promotions are additional burdens that marketers typically face. These concerns led to the development of marketing automation software. These predominantly allow users to create pre-programmed email marketing campaigns that are basically free of human intervention. They provide multi-step interactions that are meant to turn prospects into paying customers. This is done through the use of link clicks, email opens, web form submissions and abandoned online shopping carts and customer information as basis for such campaigns. There is a vast selection of these platforms that are designed to improve marketing. But possessing a marketing automation tool may not be enough.  Users should also gain some degree of mastery in terms of utilizing these products. There are a number of trends in marketing automation that are worth knowing about. Being on the lookout for these developments, combined with a robust system and you should be on the track to improving your marketing performance. 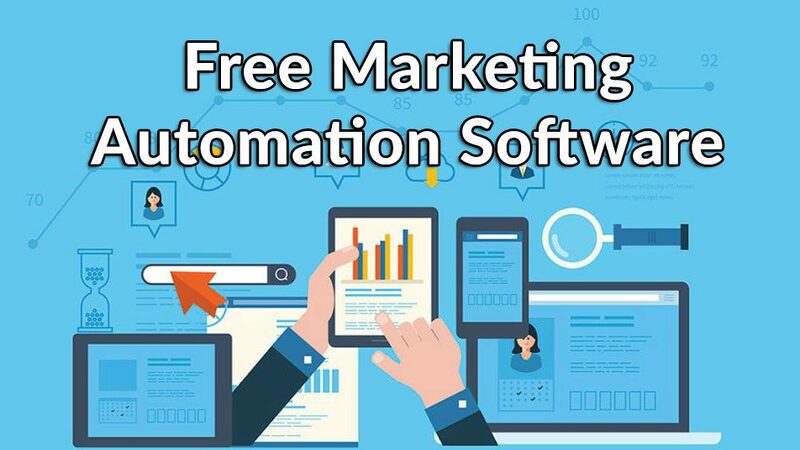 So now that you know the good things about marketing automation software, you should know that there are far better solutions than these–free marketing automation software. Yes, there are lots of free solutions out there. What’s good about these free tools is that they provide the needs of small or growing companies who lack the needed cash flow to invest in the technology. These free versions allow these organizations to enjoy the benefits of marketing automation software absolutely for free. In this article, we are going to take a look at the 10 best free marketing automation software currently available in the market. We will discuss in detail their features and functionalities and what sets one apart from the other. However, the rankings do not necessarily mean that one tool is better than the other and should not be viewed as such. You may also want to try out a marketing automation software demo first. What are the 10 best free marketing automation software? Marketing automation software should be able to create email campaigns and provide email and newsletter templates that users can readily use in layout design. With this feature, target audiences can be instantly reached using mass emails while the number of click-throughs and email opens can be monitored with a tracking tool. Triggered emails can also be created to properly respond to customer actions. This is used to analyze website visitors for relevant information such as source page and IP address. It is essentially smart forms that capture both customer and prospect data. For more detailed profiling, social credentials may be needed. Marketing automation software must be able to automatically score leads based on preset criteria such as historical interactions, demographics, and behaviors of prospective customers. Platforms aggregate criterion in lead score calculation. Segregation of lead scores is done according to range, which is then integrated into workflows. Information relevant to prospects that quality is captured and stored in a lead database, along with activities such as email clicks/downloads and website visits. Leads are then forwarded by the database to a CRM system, which is then transferred to a principal customer database. Segmentation is also allowed by the lead database, enabling users to target specific groups through data segmentation. The use of analytics allows users to compute the cost of your marketing campaigns and their overall effectiveness. Analytics are run on key metrics, taking into account factors like lead volume, open emails, and downloads, among others. Values derived from these are graphed against sales metrics, which include total sales and conversion and win-loss rates. Marketing automation tools should never be without CRM integration. This is because leads, once qualified are sent directly to sales teams. Integrations can come in the form of add-ons or with third-party apps. If you want to target customers who use mobile devices such as tablets and smartphones to access the Internet, you should go for marketing automation tools that come with mobile optimized emails and landing pages. This allows any user to access such platforms from virtually anywhere at any given time. Many marketing automation solutions come with a WYSIWYG editor, which aids users in creating visually pleasant and interactive landing pages, eliminating the need to hire professional graphic artists or IT personnel. Information are collected by placing a form on a landing page, which are transmitted to a central database for scoring. Landing pages do not have to be boring, they can be customized to include dynamic content such as texts, images, and even calls-to-action. Marketing automation solutions are capable of filtering out prospects. They likewise handle email and other marketing channels, collecting data that can be used to qualify leads. Users can come up with content that are both attractive and can be easily sent to target audiences. Content sharing to relevant influencers is possible as the tool comes with numerous social and SEO suggestions. In addition, messages can be personalized to suit site visitors and calls-to-action can be created. Customer support is quite excellent with highly-trained agents always on standby to address inquiries. Should you decide to upgrade, it is highly recommended you explore the features first before committing to a plan. You can easily sign up for a HubSpot Marketing free trial here. An email marketing solution designed for SMBs, Zoho Campaigns comes with a free plan that is designed to automate all processes related to marketing, including email and mailing list management. It operates on the premise of providing the right data at the right time. The system can help users engage customers using social campaigns on social media platforms like LinkedIn, Twitter and Facebook. The tool pretty much handles the whole marketing gig so that you can focus on messages and target audiences. What’s more is that the app allows users to create effective subject lines and designs while ensuring that your mailing list stays free of spam. Emails can be easily created using templates and layouts that are pre-designed. If you so chooses, you can also use templates of your own making, all you need to do is to import them to the platform. An HTML editor, on the other hand, enables users to come up with newsletters for subscribers. Zoho Campaigns gets rid of the need to import or export data by automatically syncing information. 12,000 emails/month to up to 2,000 Subscribers. Once you’ve outgrown the free plan, the vendor offers a great free trial plan for those who’d like to try out the key features of the product first. You can easily sign up for Zoho Campaigns free trial here. Popular email marketing service MailChimp is targeted at organizations of any size and type. It can manage large volumes of email and sports analytics and tools that enable users to engage both existing customers and prospects, turn leads into sales and market their products/services. This inexpensive and easy-to-use tool is capable of creating, executing and analyzing email and ad campaigns. You can likewise manage your subscribers, view click-through, generate customized reports and track emails using the product. It comes with pre-made templates but you can also come up with designs of your own. A visual email marketing campaign building and automation platform, Drip helps businesses customize and automate email campaign workflows. It supports different kinds of email campaigns for businesses, teams and even individuals. This provides users with the ability to send targeted emails and messages to subscribers. With the tool, you can integrate existing systems as it comes with an API aside from third-party integrations. This effectively expands the program’s capabilities allowing businesses to gain valuable insights. Notable features include a visual workflow builder that allows users to customize customer experience using triggers and actions. Emails can be sent in accordance to subscriber profiles, increasing the likelihood of subscriber retention. Leads can be captured using widgets, triggered popups and embedded and hosted forms. Marketing automation software DailyStory is designed for small businesses, providing them with the ability to identify and engage top customers. It gives users a clear view of visitors and helps them come up with effective means of engagement. The solution covers the whole customer journey, providing tools by which to track, convert and manage clients and eventually make loyal customers out of them. DailyStory helps in forging meaningful customer relationships by delivering excellent experience. Unlike other tools, it accomplishes this not with the use of tracking, insights, and analytics, it goes beyond numbers, giving users a better understanding of site visitors. The solution comes with smart search engine marketing and link retargeting features, which sends out your ads to individuals who have clicked links to your site through emails and social platforms. Open source marketing automation software Mautic can be used through its hosted version or downloaded from its official website. The self-hosted version comes absolutely for free despite having contacts and email limitations. Installation is not that complicated. However, if used in a production platform, some server knowledge may be needed. The system uses its contacts feature to help users build and manage leads, keeping tabs on what websites prospects visit and their activities, which are all stored in a single location. Data gathered are quite useful in creating campaigns. It also comes with a campaign builder, which allows for the creation of automated workflows for your campaigns. You can come up with landing pages using the software’s tools, to which actions can be attached if you choose to. Marketing emails can be created easily using pre-designed templates and automatically sent out to prospects. Other notable features include dynamic content creation, lead scoring, reporting, and third-party app integrations. SendinBlue Email is an email marketing automation solution that helps businesses create and nurture customer relationships using transactional emails, email campaigns, and SMS. Its key features include marketing automation, trigger marketing tools and contact management and reporting. Using the software, businesses can create and manage campaigns from a single location. It effectively manages contacts, allowing you to import them, use behavioral filters and categorize lists. It comes in several independent modules that can handle any email marketing-relevant task. The vendor offers good customer support, which can be accessed through phone or email. Web-based marketing automation solution Leadsius is designed for use by small to medium-size companies. It provides automation capabilities that are behavioral-based, allowing users to manage leads, customize web forms, track marketing performance and create marketing campaigns. With Leadsius, you get absolute control over leads and marketing campaigns. Useful features include email marketing, leads analysis and reporting, landing pages, web forms, website tracking, a marketing dashboard, and a WordPress plugin. It likewise has intelligence functionalities and databases of varied sizes. Multichannel marketing automation tool Vbout allows businesses to capture leads and transform them into paying customers. By combining powerful marketing tools into a single solution, the system helps users boost efficiency while saving precious time. Prominent functionalities include a landing page and customer journey builder, social media management, email marketing tools, user profiling, segmentation and analytics. The platform allows for the importation of contacts from other applications such as EventBrite, SalesForce and Excel CSV. It has an email editor that sports a drag-and-drag functionality, allowing users to quickly edit their marketing emails. Email templates that come with the software can be viewed in just about any mobile device and are highly-customizable. An email tracking feature allows for the identification of duplicates, unsubscribes, complaints, and bounces. Cloud-based marketing automation system SendPulse can help SMBs businesses manage their email, push notifications and text messaging all from a singular console. Using the solution, you can set up emails quite easily using the software’s drag-and-drop editor and pre-designed templates. Email campaign performance can also be checked as the platform comes with A/B testing tools. Instant and personalized notifications can be sent out with SendPulse’s push notification feature while text messages can be sent to more than 200 countries on a user-defined schedule, which is determined using predictive analytic tools. Support comes in the form of email, phone and an online knowledge base. So that’s about all of them, our top 10 marketing automation software. Having read the entire article, you should be able to make a sound purchase decision on your own. However, if you feel that you need a fully featured solution, check out this top 20 marketing automation software guide.